Suddenly we’ve blinked, the New Year is over and its already February! As the summer temperatures continue to soar through the hottest month we can remember, it seems the only way to escape the heat is to get out of Sydney all together! Going on holidays often means hauling over-packed bags, traveling for days at a time, dealing with delays, unruly children (your own or strangers!) and multiple modes of transportation to get anywhere, hoping that in the end the destination is well worth the effort! We’ve been daydreaming of our ideal holidays where it’s not about the journey but all about the destination! Why don’t you come and join us . . .
Maddie is dreaming of places she has never travelled, such as Milan! She is lusting over Senato Hotel Milano and its beautiful interior, made up of a plush material palette boasting of black and white. The character of the building’s neo classical exterior remains intact and the interior given a much-needed face-lift and contemporized with bright brass features. Jess can’t wait to return to the The College Hotel, Amsterdam that she discovered a few years ago on a ‘design getaway’. She fell in love with the building’s historical charm and details such as the high ceilings, large fireplaces and luxurious suites decorated with muted but bold colour palette. Demi is planning her return to the Modern Honolulu, Hawaii. Designed by one of her all-time favourite designers, Yabu Pushelburg, the hotel has a contemporary design with a tropical twist. She adored every detail from the shadow lines to pivoting timber plantation shutters to the secret bar hidden behind a bookcase! Stuart can’t wait to jet off to the Big Apple to stay in The Hudson Hotel, New York. 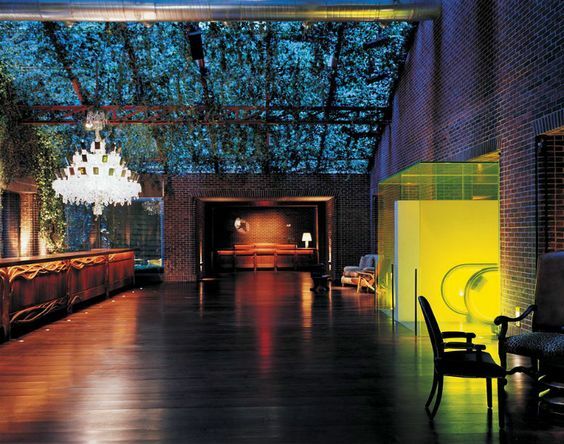 Designed by Phillipe Stark, The Hudson Hotel is filled with fun unique pieces, each designed specifically for the hotel. The unconventional combination of interiors creates an urban adventure throughout New York, all combined in the one building. Alex is daydreaming of the magical Il Sereno Hotel, designed by Patricia Urquiola and with vertical gardens by famed botanist Patrick Blanc. She is drawn to this modern marvel built of stone, bronze and copper which stands on the shore of Lake Como, Italy. 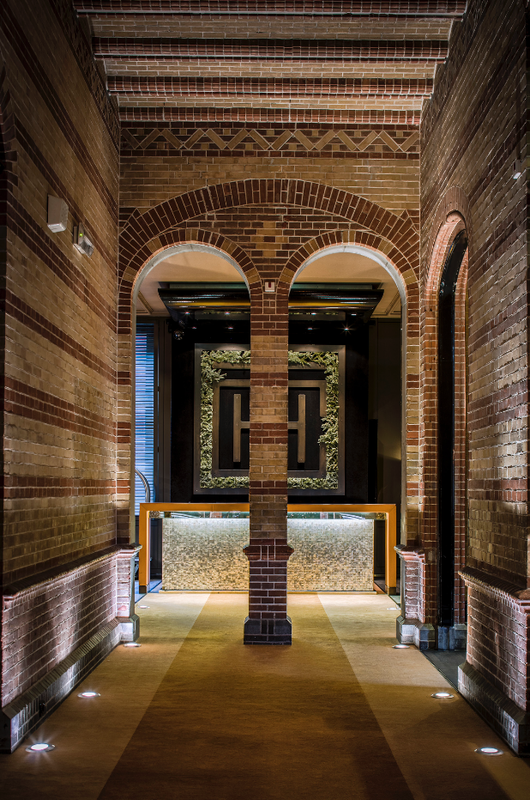 It’s amazing architectural detailing creates an intimate connection to the lake with specially framed glimpses created throughout the hotel interior. Julia longs to return to charming Saint-Rémy-de-Provence, a French town she fell in love with as a solo twenty-something backpacker. This time, however, she would love to rest her weary head on a pillow at the Hotel De Tourrel and experience the luxuries she could only previously dream of on a backpacker’s budget. She loves the elegant mix of original features and modern interiors that are housed within the buildings 17th century architecture. Handmade furniture by ClassiCon designers Eileen Gray and Konstantin Grcic fill the seven exclusive suites of the hotel.